Archet Aid – November 7th 2011 ! Ingame I have pulled a couple of my alts through eregion/moria/lothlorien/dunland and still got a ‘couple more alts’ to go (have i mentioned that i’m an althoholic? 🙂 ). Some new tunes have been created (well, ok..maybe more than a few… ) and I took over the leadership of the kinship two weeks ago. Yes, thats right. I’m now the chief of the ‘Order of the Divine Brew’ and we are now trying to make it even more vibrant and ‘outgoing’ than it have been for the last years. We have a recruitment campaign going these days, so if you are looking for a kinship with friendly, casual and mature players on the Laurelin server, look no further 🙂 For more info on us there, take a look at our page on the Laurelinarchives (). 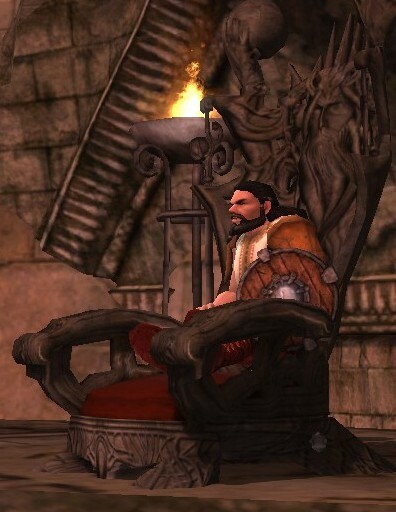 So, my time goes to various stuff connected to this and preparation for the upcoming Weatherstock event, that we hope we will be allowed to play on. We got some very good new tunes for that event lined up 🙂 We (the band ‘The Chosen Few’) are also working on a new concert on Laurelin, but no date set for this one yet so stay tuned for more information. Thats what I’m doing these days, so do not be a stranger and say ‘Hi’ ingame, and if ya are in need of a good kinship, do not hesitate to contact me, Merlas, Rimlins, Gildoin, Rosamundi or any other you see with our kinship name out there.